Get a colourful collection of kids’ toothbrushes. Featuring a fantastic standing upright design to protect brushes from bathroom germs. With soft multi-length bristles designed by dentists for ultimate tooth-cleaning and gum health. 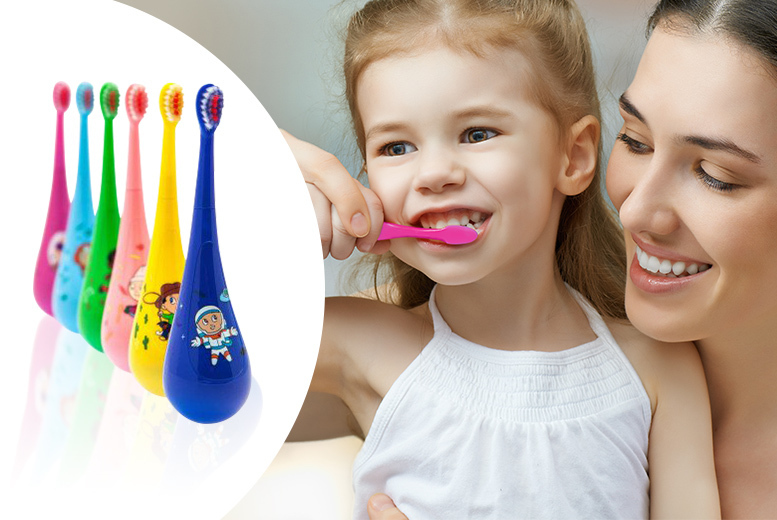 Receive six themed toothbrushes including Astronaut Andy, Vet Valerie and Pink Monster. Plus 18 fresh brush heads to keep hygiene high! Make morning and bedtime teeth-cleaning fun!